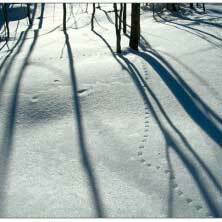 A light dusting of snow can create an excellent opportunity to track some of the animals that are active in the winter. Come out to Irvine for a short hike to look for animal tracks. Ages 6 & up.